Daryl Johnson (Worcester Park, United Kingdom) on 20 December 2016 in Architecture. 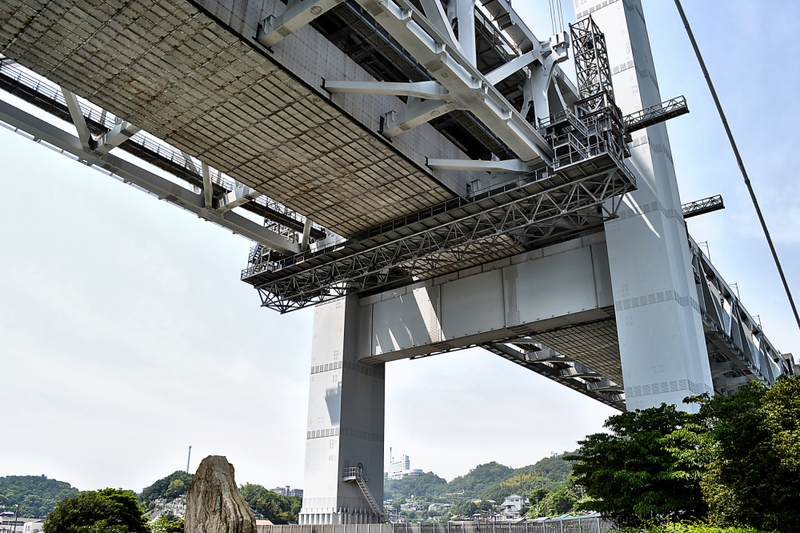 The scaffolding-like platform underneath the bridge, with the towers either end, slowly moved along on rails as we stood there. Obviously some kind of maintenance equipment. Fascinating to see. The giant bridge requires some big maintenance gear. Here, we just seem to wait till they fall down.